Drones, Drones, Drones! You may be tired of all of the “droning” by bloggers about these little pesky nuisances. You better get used to it because they’re here to stay. Given their increasing prevalence in society and in Association news, I wanted to do a deep dive on the little suckers, with an emphasis of how drones and Condo Associations will collide. Welcome your tiny overlords- drones and associations are here to stay. What are Drones, and why do I keep hearing about them? Cheaper technology around the Drones themselves, driven by affordable components and a robust military, commercial, and hobby industry. Excellent autonomous software that makes them self-flying or easy enough that anyone can fly them. The cost reduction of cameras, sensors, and other technologies which then can be loaded on Drones – i.e., a Drone with a camera or mapping technology. Bottom line for why you’re seeing them everywhere: Drones are cheap to make, it’s cheap to put cool cameras and other gadgets on them, and they’re pretty easy to fly. That’s nice. From an Association standpoint, why should I care? Drones can be used in a number of applications now, with many more likely to be realistic on the horizon. Delivery of goods – In what could be the biggest way Drones impact our daily lives, Amazon and others are testing the use of Drones to deliver packages. For a single-family home, your dropoff point might be in your backyard. For a Condo Association, you’d need to establish a designated landing zone (and secure said landing zone so packages aren’t stolen) for your Owners. As you can imagine, creating a policy and procedure around this might be complicated, but likely is something your Owners may want one day. And besides, who wouldn’t want to ensure their Owners can receive Drone-fresh pizza? Overhead imagery – Paying to have a service provide overhead imagery of your property may be useful with regards to having a clearer demarcation of boundaries (and potential infringement of those boundaries), geographic features that might have implications (like bodies of water that cause erosion), or other such applications. Drones can provide greater detail than commercial satellite imagery at a reasonable cost. Use by first responders and law enforcement – Drones are already in use by some jurisdictions to assist in various situations, such as by police when an armed suspect is on the loose, or for post-disaster assessments. Expect this use to continue to proliferate. Your Association, of course, will be compelled to follow local laws with regards to the utilization of such technologies, but ensuring that your Board, your Management, your retained counsel (if you have them) and your Owners are aware of the use of Drones may be something to consider. Those sound cool, if a little disturbing. So how are Drones bad? Privacy is the big issue. Since relatively small Drones can have a long-range capability and can be equipped with cameras, concern about Drones spying on people or being voyeuristic are legitimate concerns and already underway with several cases. While there are often local laws that make these activities illegal, a Condo might consider rules around Drone use to serve as an additional deterrent to nefarious activity. A substantial challenge of the technology category will be how to distinguish legitimate Drones (i.e., police Drones, mapping Drones) vs. the illegitimate. Related to privacy is the “how do I make them go away?” factor. A precedent-setting case about a man who shot down a Drone on his property that he thought was spying on his daughters is currently going on and will have significant impact on how Drones can be legally used. Depending on how the legal environment shakes out, I wouldn’t be surprised to see an industry of “Drone defense” – whether it’s electronic fences or physical countermeasures (Drone net – wrangle those buggers!) spring up. We’re probably a few years from that, though. I’m a Board member. What practical steps should I take with regards to Drones? Read up on the issue further. I’ve included some additional resources below, but do your own research as well. Get the rest of your Board and Management educated on the issue. If you have a lawyer (keep in mind this will cost you money, but it’s well worth it in my opinion), ask them to prepare you a one-pager on local laws and/or a recommendation of rules you might enact. Start the dialogue within your community at an annual meeting or regular meeting (with minutes captured) simply establishing that the Board is aware of the potential issues and evaluating the appropriate policy steps. Being proactive on issues and communicating with Owners is always beneficial. I’m interested in learning more. Who else has written good stuff on this? What is a Drone, Anyway? By Scientific American – Although a bit dated, a nice overview. Drones and HOAs by Will Sleeth of the Virginia Community Association Law Blog – Great legal overview on the topic. 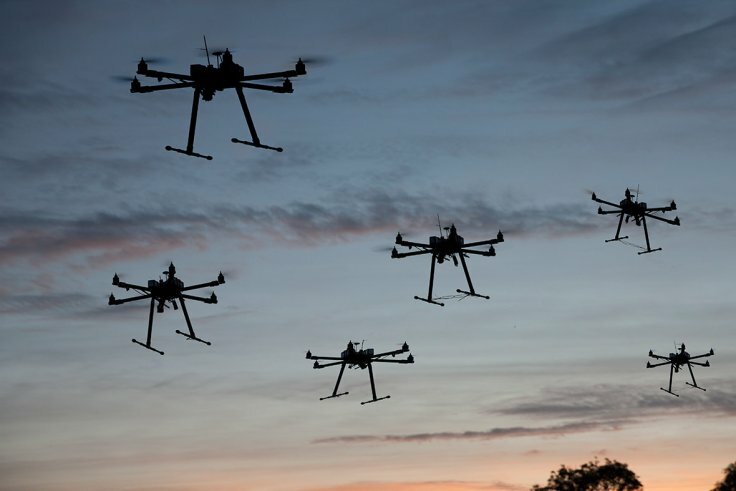 10 Dumb Uses of Drones – A fun listicle of the nuisance cases. The Future is Now – Several future technology topics wrapped up in one great legal bundle. Drone Use By and In NC Homeowner and Condominium Associations – Another great overview on Drones and related legal issues.